Pat yourself on the back. You are heavier, hungrier and more tired than you have probably ever been in your entire life….yet you made it to class. Good for you! You should feel proud. If, for some reason, you didn’t have a chance to cool down and stretch at the end of class, be sure to do so after. Cool downs return your body to its normal state (temperature, heart rates etc) which is very important when you are pregnant. Stretching lengthens your muscles so they can grow stronger. 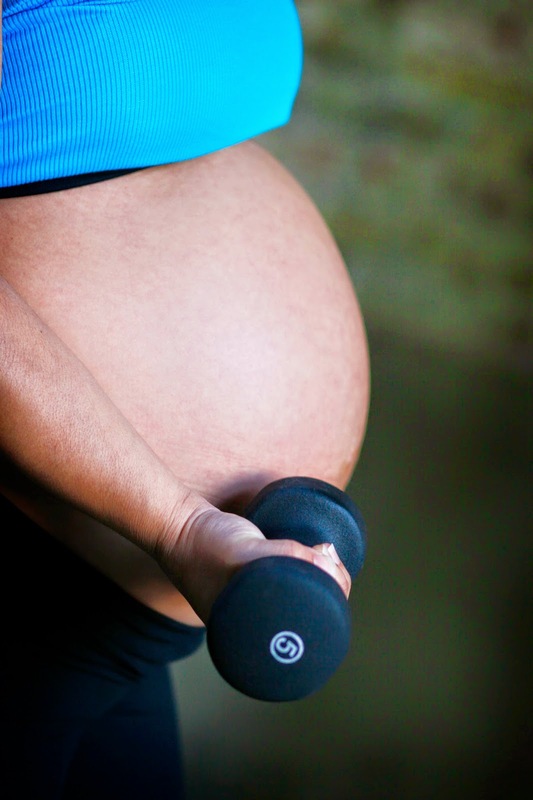 Stretching also decreases pregnancy aches and pains caused by postural imbalances. Interesting Fact: Did you know that pregnancy is dehydrating? Your body releases heat through increased respiration and perspiration. It’s a protective mechanism to ensure you and your growing baby are safe. You need to replace that extra loss of water by re-hydrating regularly. You all know that you need an extra 300 calories/day when you are pregnant but did you know that you should eat a healthy meal, mini-meal or snack within 90 minutes of exercising? Choose complex carbs for immediate and on-going energy as well as protein to repair the muscles you worked so hard. You are probably not hitting the Pub these days so why not connect with some other moms-to-be from class and go out for a snack. You could re-hydrate, re-fuel and have fun all at the same time! It’s perfect. Social and emotional health is important too. Embrace this special time in your life to share and grow with others.